I have no trouble gaming at a FullHD or lower resolution. Thanks to the increased pixel density it's starting to become more like back on CRTs when you could sharply use just about any resolution, although for obvious reasons FullHD is the ideal use case. All that aside, plenty of games run beautifully in UHD at very high settings on my '09 AMD Phenom II 955 coupled with a '13 R9 270X. Now my '09 CPU is a tad too old for this to apply, but an only slightly more recent Intel Core i7 is really not that much slower than the very latest on offer. It just uses a whole bunch more energy under load (as does mine). The resolution is what the attached screen displays. I don't know how to extract the information what the GPU can display. You're both doing a lot of confusion. Of course. Just learning after all. There's always xrandr to tweak the display settings. GPU has something to do with it too, but I have no idea how. Somebody pointed out the vertical mouse concept to me http://evoluent.com/ Looks like a good idea, except that I'd prefer something that is easily operable with either hand. Might be an okay trackball design. As a drag-mouse it just seems like it'd be harder to control. It's in general much less strain than a mouse, because it's a static thing. No need to push and pull. It can be used with either hand simply as a matter of placement on the desk. No need to train the other hand for it. Scrolling does not work so well for me. I'd prefer the scroll-wheel known from ordinary mice on the spot where the palm would ordinarily reside. Midclick has not been given any thought. Pressing the two buttons at the same time works, but it's not convenient. The scroll-wheel as I described should do midclick too. The disadvantages are not too serious, but if they made it my preferred way, then I would feel the price was appropriate and the tool more ergonomic. As it is, I think that there will be no urgent need for trackball if you are able to change the mouse for the other hand. Any mouse has an urgent need to be replaced by a trackball. That being said, something like a Wacom tablet also makes for a really interesting pointing device: it works both with a pen and with your fingers. Any mouse has an urgent need to be replaced by a trackball. Can you list some reasons? I have three desks at which I work on computer a lot. At first I thought of getting a trackball for all of them, but it only took two days for me to get used to use the mouse with left hand, and it immediately helped, so I'm happy with a trackball on just one desk. That being said, something like a Wacom tablet also makes for a really interesting pointing device: it works both with a pen and with your fingers. I had a Wacom Tablet for photo editing. It was so-so for that but useless for anything else. Comfort, comfort, comfort (and precision). Like I said above, "quality peripheral equipment is worth much more than whatever nonsense I've got in my computer." Post-'06ish computer hardware is Good Enough™ for most purposes. Not a mouse. Prolonged mouse use leads to discomfort. Switching hands once in a while seemingly works, but ultimately you're just messing up two hands instead of just one. Touchpads and trackballs are both more comfortable for pointing, but trackballs are more precise and even the best touchpads tend to be somewhat uncomfortable for clicking. Unfortunately I don't think there are any truly high quality trackballs in the way that there are truly high quality mice, but mice are just too fundamentally flawed to make it matter. A mechanical keyboard or equivalent. A typical rubber dome hurts your fingers when typing longer texts because you have to pound the keys all the way down for them to make contact. Besides, precision makes its return. It's much easier for key presses to fail to register on a rubber dome. I happen to own a das keyboard, but there are plenty of decent options to choose from. A good monitor. Low-resolution and certain types of backlight tire the eyes. In the long term I'm sure that can only hurt your eyesight. That being said, a truly good monitor doesn't exist yet. The screen on my Kobo Aura H2O probably comes closest, but even if I could use it as a monitor it'd be a tad small at its puny 6.8"... To be perfectly clear, the perfect monitor would look very similar to a high quality book or magazine. But I'd settle for the cheap newspaper/paperback look of the H2O (which, I must emphasize, is the very best I've ever seen in computer display technology -- I mean "cheap newspaper" as an enormous compliment). A monitor arm. Ignore whatever stand a monitor comes with. I recommend the Ergotron LX Desk Mount LCD Monitor Arm, Tall Pole. (I own the one with the regular pole. I wish it were just a little bit longer.) Even though your good monitor is intended to last for the better part of a decade, this should last many years longer. Together with your virtually unbreakable mechanical keyboard, with any luck it might last for decades of use. Of course I can only vouch for a decade yet. But perhaps something like the WorkFit S to easily switch between standing and sitting would be better depending on your use case. A good chair, although like with both mouse and monitor I'd say the best chair is not a chair. I like my Topstar stool because I can wobble around and stuff, but it doesn't have any of the disadvantages of e.g. an exercise ball. Can you flesh out the point about precision a little more? 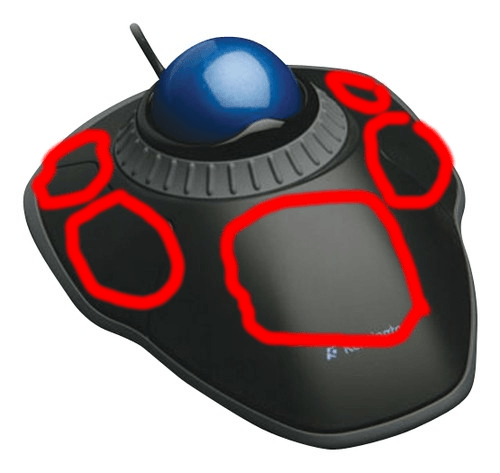 In my practical usage, I have found touchpad better than mouse in many ways, including in terms of precision, but my (limited) experience with trackball does not give any reason to assume that trackball could be more precise for pointing than mouse. Trackball is better for the way the hand is placed on it, and because trackball is static - it has its own place on the desk, not to be dragged around. By the way, what do you think of a scroll wheel to be pulled with midpalm? A good monitor. Low-resolution and certain types of backlight tire the eyes. You earlier spoke about switching off the monitor for pauses of thinking. I have the habit of closing the eyes very often, occasionally typing with the eyes closed. Same effect, even though the monitor is still using up power. Looks like a good idea, except that they take up space on the desk. Monitor arms like this might be more essential for people who do graphical work or coding so that pixel-perfect precision on the screen matters. My work is simply to type common language into a few huge windows on the screen. A good chair, although like with both mouse and monitor I'd say the best chair is not a chair. For some reason, employers think a good armchair is the best choice, while I have found it to be the worst. Luckily in the most recent overhaul of the offices by my employer, the armrests of the chairs were detachable and I detached them, leaving a fairly decent thing to sit on. Really? I find that being able to use one or two fingers or my thumb gives higher or at least easier accuracy than I could ever get with my wrist. But as far as that goes bigger balls may be better. I also have an el cheapo Logitech trackball which doesn't strike me as particularly precise. Let's just say YMMV but who cares since you're not killing your wrist? By the way, what do you think of a scroll wheel to be pulled with midpalm? I'm not sure I understand, but it doesn't sound too attractive on the face of it. Looks like a good idea, except that they take up space on the desk. Huh? Space saving is a major advantage of a monitor arm, although I would advise one primarily for the sake of your body and freedom of movement. Mine goes up and down and around and tilts all the time. Speaking of wrists, I have been a constant a table tennis player since early teens. It probably has helped my wrist to survive. Look at the picture again. There's a huge empty area staring at you. How about some function there, a button for midclick or a wheel for scroll? And you could move it with thumbs as well as with midpalm. Well, I understand you can put up the monitor arm in a space-saving way, but the leg where my new monitor stands on is not in my way either. I understand the advantage of the monitor arm and why someone would need that advantage. With that design it looks like it should five buttons. They're probably afraid that it would compete too well against their more expensive products if they made it that way. Seems like that'd make for a killer el cheapo trackball as opposed to a mediocre one. Although ultimately it comes down to the quality of the actual ball part. A traditional monitor takes up space on your desk. With a monitor arm, you can still use the space underneath your monitor even when you don't push it back. But yeah, the combination of monitor arm and keyboard tray (I made that one myself) allows me to use my desk as if no computer were present at all. I just have to push my keyboard under the desk and the monitor to the back and it's as if I were right in 1950. Well, except for the gigantic typewriter taking up all of my desk space. It's as if I were right in 1850. Anyway, the desk space is merely nice to have. The real utility of the arm is to have the monitor at a proper height so you don't slouch and to be able to move the monitor around pretty much any which way you please. I'd love to have a left-handed thumb-type trackball. Then again, these days even the right-handed ones are kinda difficult to find - the only one I see here occasionally is a wireless logitech, and I don't want a wireless one. In the spring this year I visited the United States. Among other things, my plan was to find out about the latest developments in the trackball area. I heard in the shops that they were a dated product, on the way being replaced with trackpads and such. That's what I heard in computer shops in New York and some shops didn't even have any such thing. Staples still had a fair selection of mice and some trackballs, even though I didn't buy anything there. The way the extant buttons are done, I would like them smaller, because they are too touchy. I want some free space to rest fingers when not pressing anything. There are some people at my job who are unable to sit through the workday. They have to stand up, so the whole desk must be redone for them, and such monitor arms and stools more for leaning, not so much for sitting are a good idea for them. As for me, I am able to sit immobile all day, if the chair is right. And I hardly need any deskspace. Isn't one of the ideas with computers to reduce the need for paper stuff? In my case, I have near-eliminated such needs. The desk is just to hold the monitor and keyboard, nothing else. But sometimes I think it would be nice to have a very changeable desk, to set it to any arbitrary height easily any time. Changeable chairs like that are hard to do right. Desks should be easier. Yeah, sadly that matches my experience. The few you can still buy tend to be expensive too. Yes, a tablet with a pen. It reacts to pressure as well as all the other movements. n the spring this year I visited the United States. I love the smell of blasphemy in the morning. European Union is also blasphemy, but I live there. Soviet Union is also blasphemy, but I was born there. Seems to be my fate. holding the netbook like an ordinary book. This new wide monitor would serve as a good reader if it could be physically portrait-oriented the same way, but I have no ideas how to improvise a suitable stand for it right now. You are indeed a very complicated person... You got a nice big monitor, just connect it to your computer and use it. I'm sorry but I don't understand what's the problem. Everybody reads e-books and pdf's and much, much more. What exactly is the problem? You want the monitor vertical? I told you before, get a good Nvidia so it can display in vertical mode. As for phisical problems, you monitor's base should allow for turn the monitor vertical. If not, improvise, simple as that. Yes, I want the monitor vertical, physically. And yes, I said I gave a thought to improvising an arm or leg for that, but no, it's not that simple. My current lifestyle does not generate the kind of crap that would solve problems like this.